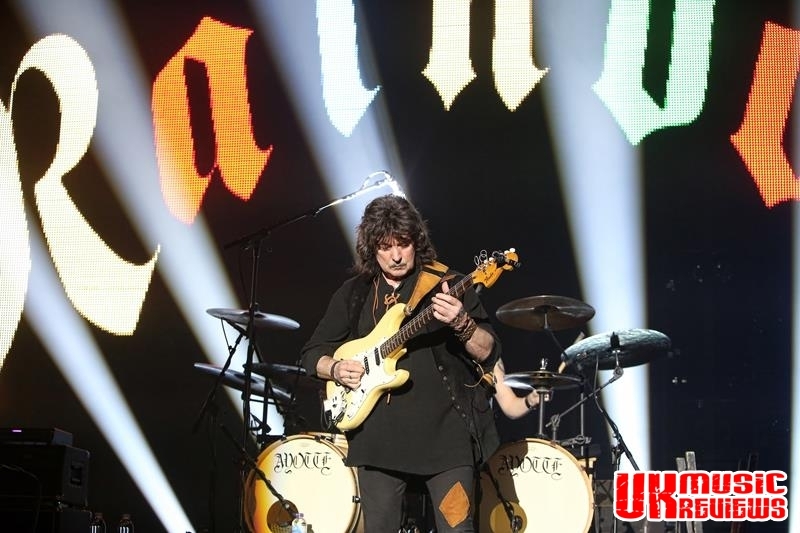 Ritchie Blackmore’s Rainbow performing at The Genting Arena Birmingham on Wednesday 28th June 2017. 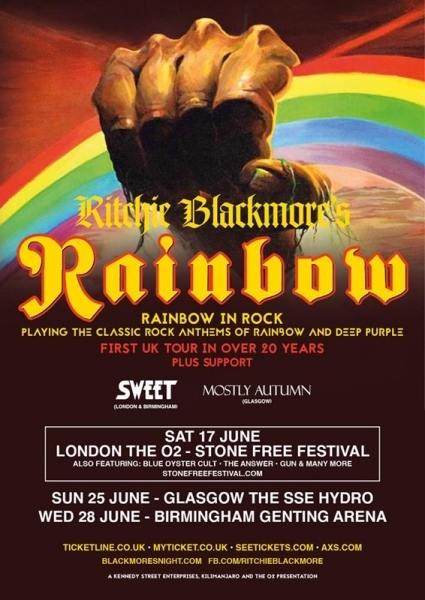 Ritchie Blackmore has distanced himself from Rainbow for almost twenty years but last night he was back. 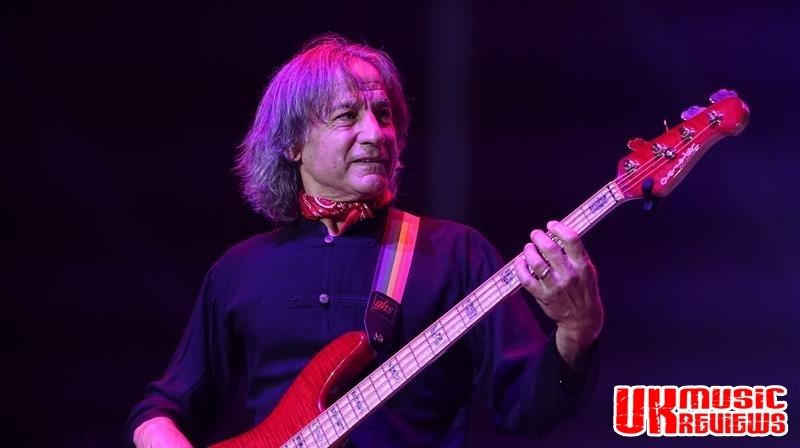 Leaving Deep Purple for the final time in 1993 he reformed Rainbow for one album (Stranger In Us All) and one tour, before bringing things to a premature close in Denmark in 1997. 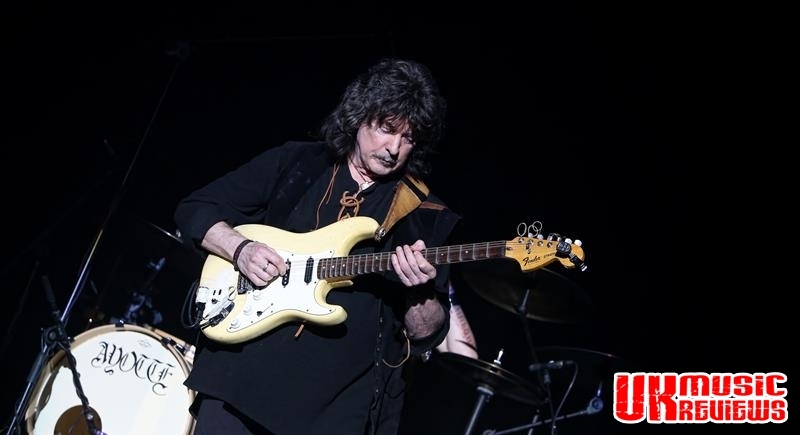 And from that moment on he has put aside the rock so that he could concentrate on Blackmore’s Nights, a renaissance rock band which included his wife, Candice Night, and where lutes and flutes were the familiar sound. 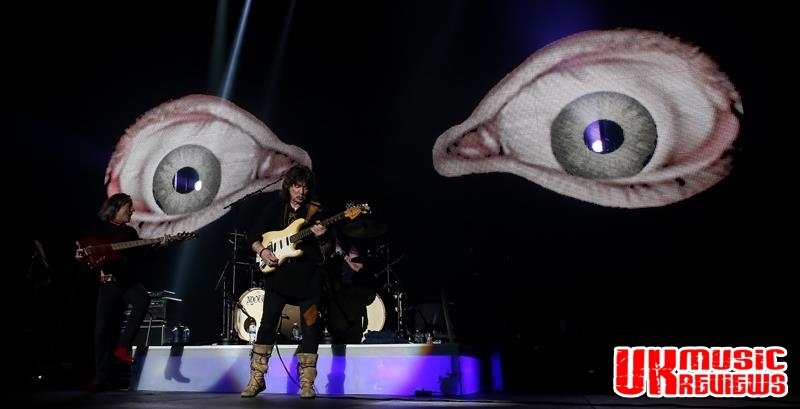 But last night the only nod to Blackmore’s Nights were the pixie boots that Blackmore wore as he brought Ritchie Blackmore’s Rainbow back to the Genting Arena. 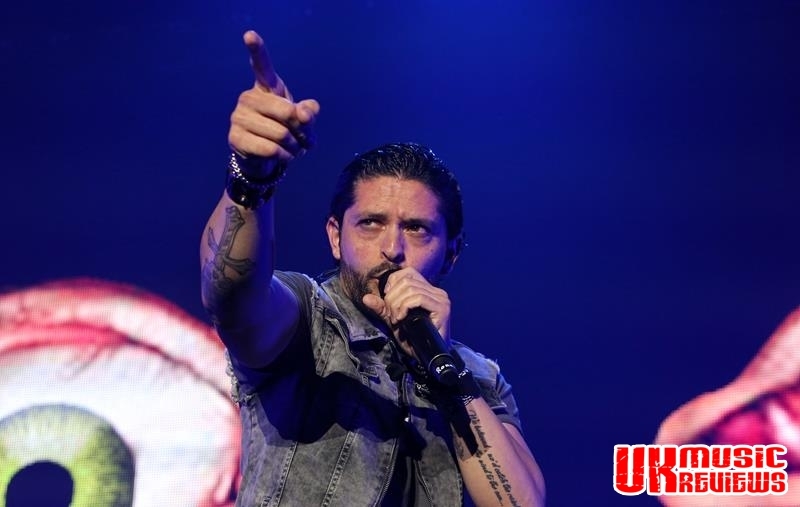 Since Rainbow never recorded two albums in a row with the same line up, it was no surprise to see him unveil his latest young guns and power rockers. 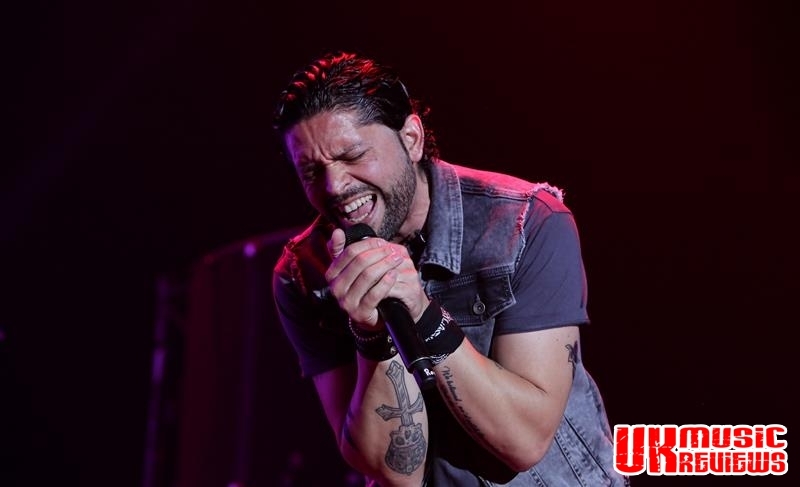 With Chilean Ronnie Romero being handed the vocal duties, he tore into the opening trio of Spotlight Kid, the pop rock of I Surrender and the Deep Purple classic Mistreated, whilst staying true to the style of Joe Lyn Turner and David Coverdale. But it was Since You’ve Been Gone that had this crowd on their feet and singing along, and all thoughts of Graham Bonnet were put to one side with Romero’s searing vocals. 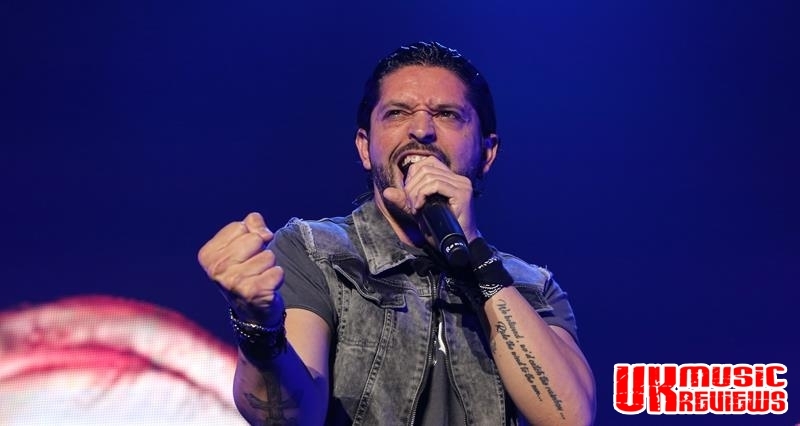 Man On The Silver Mountain was offered up in tribute to original front man Ronnie James Dio and was excellent whilst Soldier Of Fortune evoked Coverdale at his bluesy best. Child In Time was absolutely sensational, with Romero mirroring Ian Gillan’s crooning to screaming style perfectly, whilst a truly exquisite guitar solo from Blackmore had the years rolling back as the notes just flew from his fret board. Jens Johansson’s keyboard solo on Difficult To Cure went on a tad too long, but David Keith’s drum solo was a real highlight. Up next was Stargazer; the seminal track from the Rising album, which showcased Romero’s credentials. 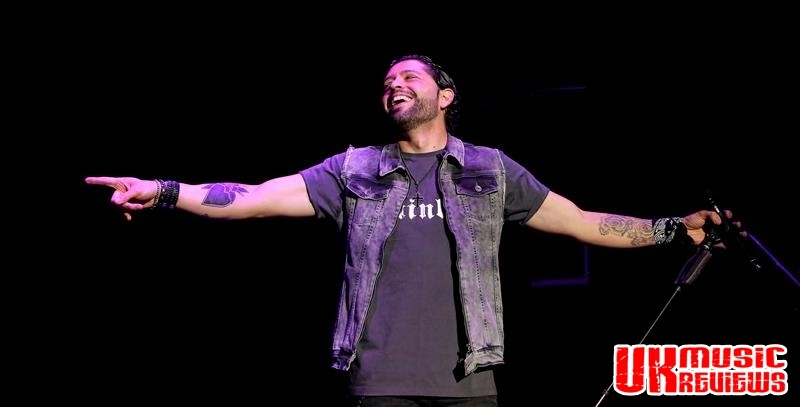 As a Ronnie James Dio tour de force, the young Chilean absolutely nailed it. With the set coming to a close it was Deep Purple’s Lazy that ignited the crowd whilst Catch The Rainbow had a really delightful finesse. 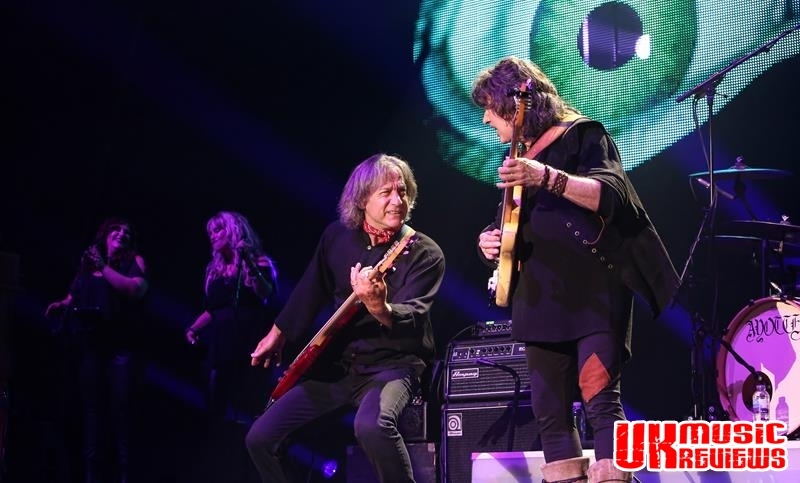 Blackmore’s playing during the instrumental Carry On Jon, was a sensational tribute to his late former Deep Purple keyboard player Jon Lord, coupled with some lavishly illustrations and photographs on the brilliant digital screen behind them. 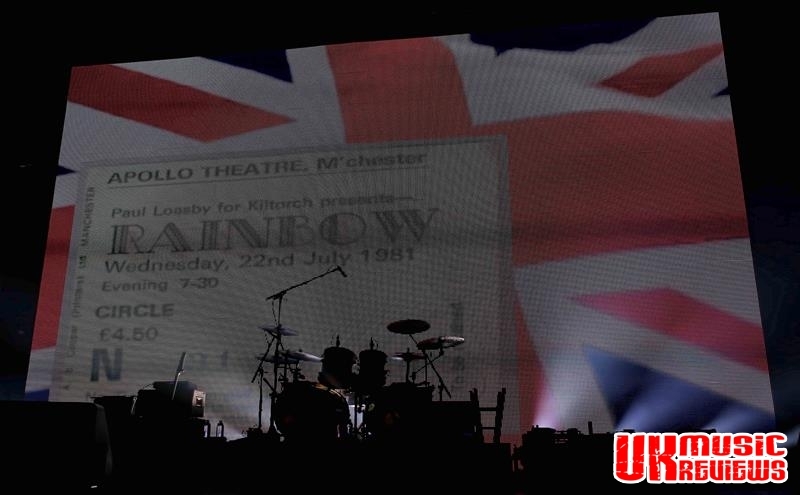 During other songs there was a backdrop of archive video footage which enabled classic-era Rainbow warriors Ronnie James Dio and Cozy Powell to loom large from beyond the grave, whilst the blistering energy of Coverdale’s Burn was played at full throttle against a backdrop of orange and red flames devoured the giant screen. 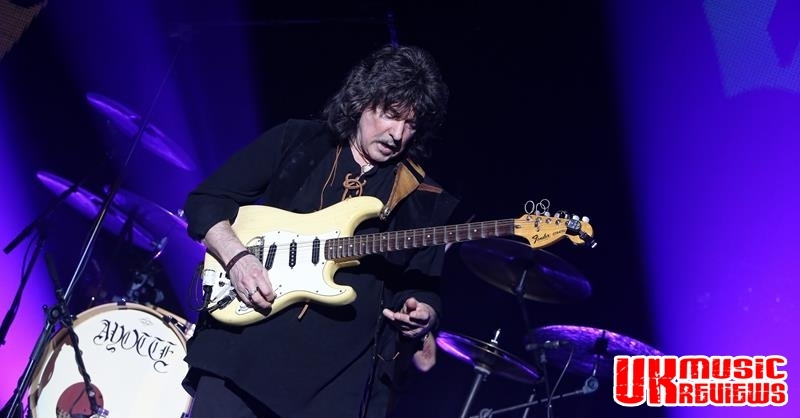 But it was Deep Purple’s Smoke On The Water that this crowd had been waiting for, and regardless of the countless times that Blackmore has played this, he missed the introduction and it started with vocals only. 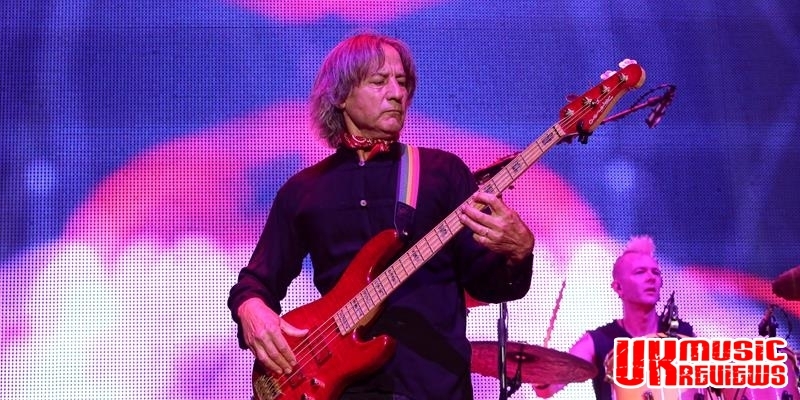 But overall this was a triumph for Blackmore, who’s playing was exceptional throughout. He is undoubtedly one of the greatest guitarists of all time and while he may be 72, you would never have guessed it on this performance. 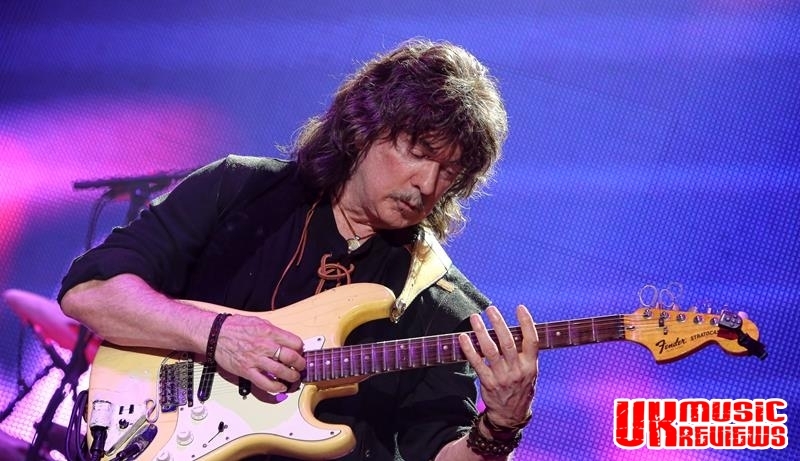 After all, Ritchie Blackmore’s Rainbow is all about the guitarist.